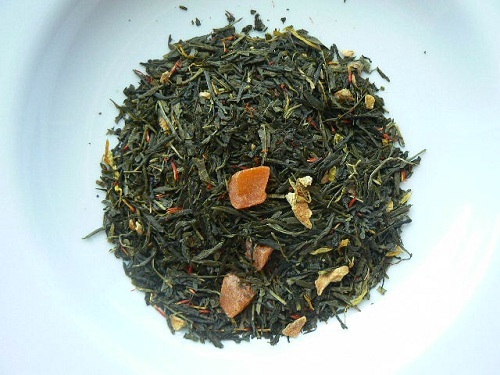 Pan-fired China green tea, marigolds, lemon peel, mango bits, safflowers, mango and citrus flavor. This tea will remind you of a beach in the Caribbean! An iced tea that must be tasted!